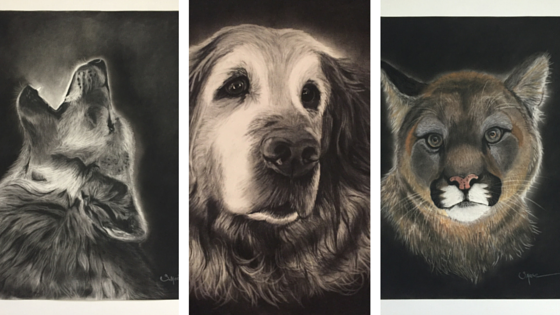 Of course, local artist Shannon Marie Schacht does do drawings and sculptures of wildlife as well, but the focus of her art recently is pet portraits. Originally from Maine, Schacht moved to Jackson with her husband in 2004. When she moved out here, she had never even been to Wyoming, but her husband had fallen in love with the area years before they met. "He ended up talking me into moving here, and I told him I would give it a year tops and if I didn't like it then we would move back to Maine. Within six months of being here, we were looking for a house to buy," she said. "It didn't take me long at all to figure out this is where I must be." Schacht has been drawing since she was old enough to hold a pencil, and has a family full of artists. "Some of the best memories I have from when I was younger was looking through my grandfathers old drawings and paintings," she said. "He was an amazing artist." She has always loved drawing, but her art was more of a hobby until recently. "I was never super serious about it, although it has always been a dream of mine to be a successful artist and I have always wanted to be in a gallery or have my own gallery," said Schacht. "My husband, who is my biggest fan, encouraged me to leave an unhappy work environment that I was in and work on my art full time." So she left that job in October and turned her guest room in an art studio. Currently, she is working on building her portfolio and getting her name out in the community. Her art originally began with wildlife drawings, but she kept getting requests to draw pets for her friends and acquaintances, so her art naturally evolved in that direction. "For the pet portraits, I put my heart and soul into every one that I create, so it is fitting to create something that is really sentimental and valuable to someone," she said. "My strong suit is creating realistic eyes that bring the animal to life on paper or canvas. I want people to look at my work and see these animals souls and feel their emotions just by looking into those eyes." 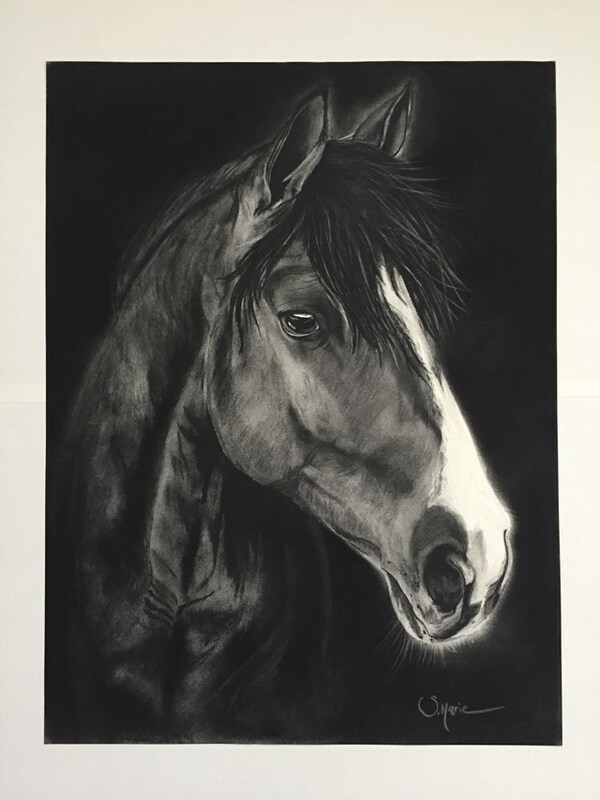 While animal drawings in charcoal are her main focus, she also does some photography and clay sculptures. Besides her art, Schacht loves everything outdoors -- hiking, trail running, biking, skiing, snowboarding, tennis, dirt biking, and anything else fitness related. "This is definitely one of the best places to live if you are an artist, there is beauty everywhere," she added. See more of Schacht's work on her Facebook page at https://www.facebook.com/ShannonWattArtCollection/?fref=ts.